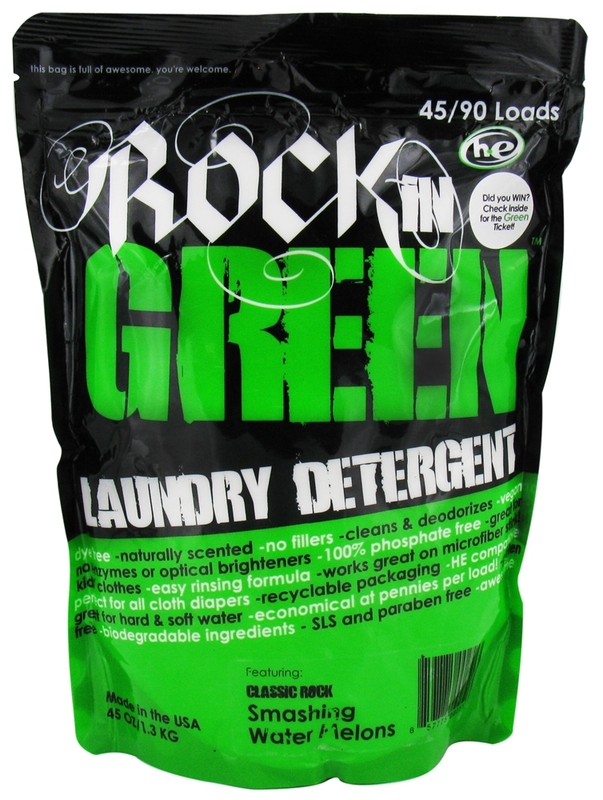 Rockin Green Laundry Soap is quite a neat product. 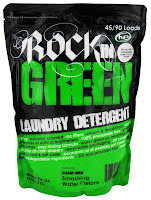 In preparing for baby and washing lots of new pre-schooler clothing, I picked the Soft Rock detergent scent/type. At the moment, hubby and I are NOT picky on our laundry soap. While we try to do green things and work in eco-friendly products, we are not educated on all the ways to keep the environment clean. With that said, we have about 4 different brands of clothes detergent that we got on discount through sales and coupons. Trying Rockin' Green was super simple. I received my sample bags, took a tablespoon downstairs to our laundry room and measured out the detergent. VIOLA! Our clothing was super squeaky clean and it had a soft (baby/kid friendly) scent. The Rockin Green website says this is PERFECT for cloth diapers, too! I really hate doing laundry, and Rockin Green made it easy with the simple directions (we have an HE system) and applicable to front load and top load machines. MamaBreak received samples to try out Rockin Green so that we could adequately review it here on the site. As always, our reviews and opinions are our own. Totally love Rockin' Green over here! It was amazing on my cloth diapers when that's where I was. Now I'm really loving the athletic wear formula for my workout stuff. It's awesome on my running stuff but even better it works like a charm on my husband's jiu jitsu gis! Those things are kind of a bear to take care of without weakening the fabric, but I can count on Rockin' Green!